Q: How do I book a tour at the Siren Song Vineyard Estate and Winery? 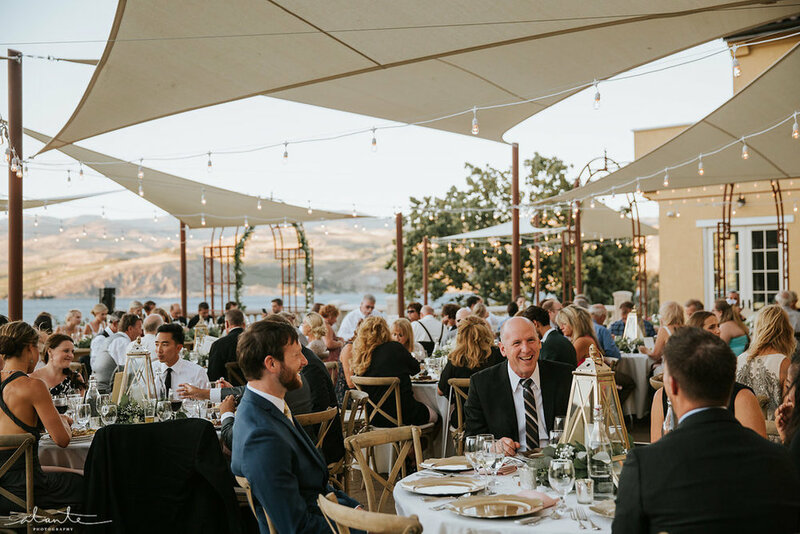 Q: How do I secure a date for my event or wedding at the Siren Song Vineyard Estate and Winery? Q: How much is the non-refundable event deposit? Q: What are your standard allocated event hours? Q: What is venue pricing based on and what can I expect to pay for an event at the Siren Song Vineyard Estate and Winery? Q: What are the minimum and maximum number of hours allowed for a private event or wedding? Q: What is the latest event end time? Q: What is the earliest set-up start time for vendors? 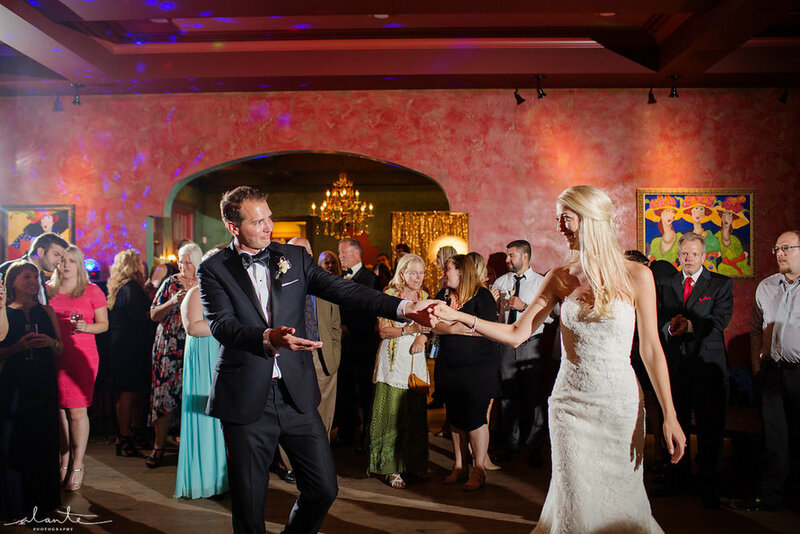 Q: Do you have availability for events and weddings weekdays and all-year round? Q: What is your “Peak” Season, and does pricing vary by season? Q: Does your pricing vary by day of the week? Q: Can I have a wedding ceremony only (no reception)? Q: Do you cater, or allow outside catering? Q: What fees and/or taxes are associated with your events? Q: Can alcohol or other wine labels be brought in or served at Siren Song? Q: What is your capacity for various event options? Q: What are your food and beverage minimums? Q: Can we do a food and wine tasting to determine the optimal menu selections? Q: What benefits or discounts can wine club members expect when they book an event? Q: What is included or provided for my event and what is extra or something I need to rent? Q: Does Siren Song require a “day of wedding” planner? Q: Can I bring my own flowers and décor for my event or wedding? Q: Does Siren Song require wedding insurance? Q: Is music allowed at the Siren Song Vineyard Estate and Winery? Q: Are “throwables” like rice, birdseed, confetti, glitter allowed? Q: Are candles and/or sparklers allowed? Q: Are children allowed at Siren Song? Q: Do you have high chairs? Q: What can I expect to pay for food and beverages at Siren Song? 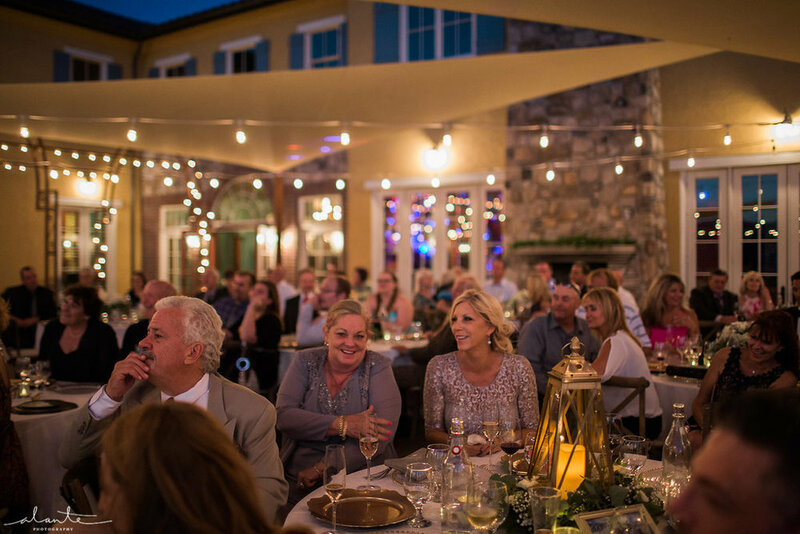 A: Prior to booking a one hour tour of our winery, tasting room, event facility and, villa, we ask that you provide us with some basic information about your event. This allows us to customize your tour based on the specifics of your event, and helps us develop a pricing scenario that fits your unique requirements. Find a link here to our event venue questionnaire here. Or email events@sirensongwines.com. A: Once we understand your requirements and have agreed on a budget, we will develop a contract that includes a venue fee, menu and wine selections. We then send the contract to you electronically via DocuSign for your signature. We also require a non-refundable deposit upon contract signing in order to secure your date. A: The non-refundable deposit is typically 25% of your estimated total event amount. A: For events of 25-50 people, the event time is usually 3 hours. For larger events and weddings, the time allocation can be 4-5 hours. Extra hours can be negotiated. A: We accommodate a variety of event types for a variety of different venue price points. Pricing depends on guest count, food and wine selections, date and time of event, whether you require a private space, which areas of the venue you reserve, and of course how you plan to use the venue and our services. Once we have a better understanding of your specific requirements, we can put a quote together for you. Simply answer the questionnaire here to get a quote. A: Rehearsal dinners and private parties are typically 3 hours. Wedding ceremonies combined with receptions are typically 4-5 hours. Corporate events vary. A: Typically 2 hours prior to event start time. A: Yes, depending on guest size. Our indoor capacity is 120. Our Outdoor capacity is 200. A: Yes, pricing varies by season. Our peak season is: May-October. A: Yes, our pricing varies by day of the week. Saturdays are premium, followed by Friday’s and Sundays. Lowest pricing options are available Monday-Thursday. A: Typically no. But we are happy to discuss your vision in order to better understand what you are trying to accomplish. A: All food and wine consumed at the Siren Song Vineyard Estate and Winery must be provided and served by Siren Song. No outside catering is allowed. The only exception is wedding cakes can be brought in. A: A customary 20% service fee is applied to food and wine. Washington State Sales Tax is also applied to your total event fee, including venue fee. A: No, only Siren Song wines may be consumed on premise. We do not serve hard alcohol, only beer and wine. However, if you want a signature cocktail at your wedding or event, we can arrange that. You will need to secure a banquet permit to do so and provide the alcohol, mixers, and barware required to serve your guests. If additional servers/mixologists are needed, we can provide them and will price that service separately. A: Indoor Capacity is 20-120. Outdoor Capacity is 20-200. A: Typically food the minimum for a private party is $25 per person and for a wedding $45 per person. Beverage minimum is based on guest count, but is typically one case (12 bottles) of wine per 20 adult guests. Average case cost is $450. A: We do not offer food tastings, altough you are welcome to visit our tasting room and try our food. 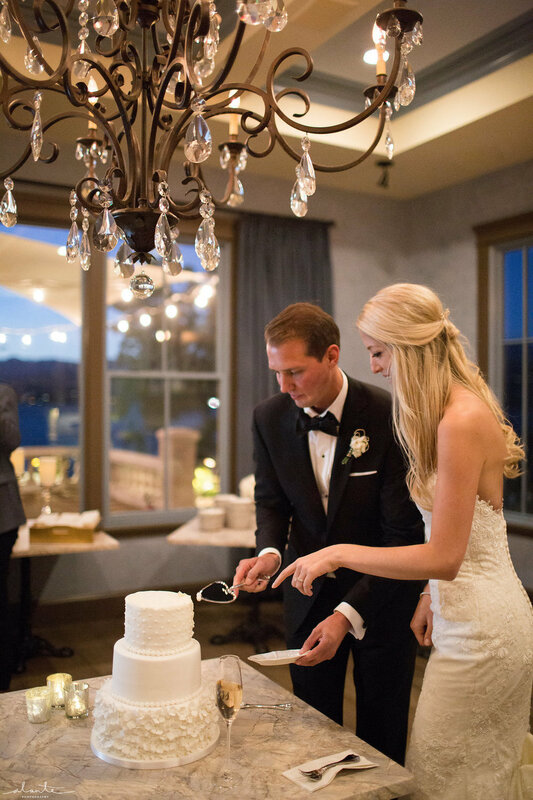 For weddings and large events our winemaker, Kevin Brown, will meet with you personally in advance of your event to make your wine selections. A: Wine Club members receive a 15% discount on wine purchase, and villa rental. Wine Club member must personally book the venue and pay in order to take advantage of this discount. The discount benefit is not transferable to non wine club patrons. A: The following list indicates items typically included in a winery takeover wedding. Other event options vary. Stereo system can be configured to your music choice or can be connected to your iPad. Microphone/PA system to be provided by Client’s band or musicians unless otherwise agreed. A: Yes. If you don’t have a day of wedding planner, one can be provided for you for a fee, typically $750. A: Yes, but all décor must be pre-approved by the venue manager in advance of event, and noted in your event contract. A: Yes, with a few accommodations. Amplified music must be inside. Outdoor music must be acoustic or stay within the county 57 decibel limit. All outside music must end by 10pm per County of Chelan ordinance. Inside music must end by 10pm. Siren Song has a Sonos sound system that can play different music in every room and outdoor area, and which can be connected to your digital playlist. A: Only flameless candles may be used. Sparkler use needs to be pre-approved by venue manager. A: No. The Siren Song Vineyard Estate and Winery is a smoke free facility inside and outside. There are no designated smoking areas. A: Yes. It is our policy that children must be under the supervision of an adult at all times. The estate is a working vineyard and production winery. There are areas where landscaping, lighting, water features and sound systems can be easily damaged. Our property is not child proof and has no supervised child play areas. Q: Do you have handicapped parking places? Food: Plated service or passed appetizers add $2.00 to the “per serving” charge. Plated service is only available for guest size of up to 50. Wine: Minimum is based on guest count, but is typically one case (12 bottles) of wine per 20 adult guests. Average case cost is $450. Beer: Siren Song is happy to provide bottle or keg beer at cost plus a $350 service fee. Just let us know what kind of beer you want to have on hand and we'll take care of it. Soft drinks, juices, coffee, iced tea, and lemonade: Depends on selections - typically $3.00 per soda.